Highview Power, a company specialising in long-duration energy storage technology, has announced it has been named as a finalist for the Green Energy Awards in the clean energy innovation category and the IET Innovation Awards. The company’s proprietary Liquid Air Energy Storage (LAES) technology is one of five companies shortlisted for the Green Energy Awards, while its LAES plant at the Viridor Pilsworth site near Manchester is one of seven power & energy category finalists for the IET Innovation Awards. “We’re delighted to be nominated as finalists for both the Green Energy Awards and the IET Innovation Awards as this is further validation that our liquid air energy storage technology is ground-breaking for the energy industry” said Javier Cavada, President and CEO of Highview Power. “Utilities around the globe continue to show tremendous interest in LAES for long-duration applications on the grid because the increasing penetration of renewables requires technologies that can balance intermittency to replace base-load generation while also providing additional revenue generating grid services”. According to Bloomberg New Energy Finance (BNEF), the global energy storage market will grow dramatically by 2030 to a global total of 125 gigawatts/305 gigawatt-hours with the United Kingdom being one of the leading countries. 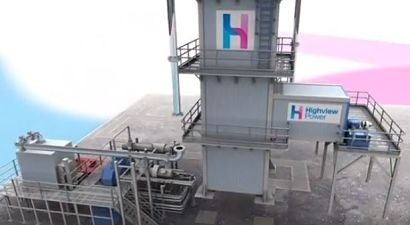 Highview Power has already deployed two plants in the UK, the latest the 5 MW/15 MWh Pilsworth LAES plant that was officially launched in June 2018. The facility is actively demonstrating how LAES technology operates at scale while also providing balancing services such as Short-Term Operating Reserve (STOR) to reduce consumption during winter peaks. In addition, the new plant can deliver power to around 5,000 average-sized homes for several hours. Highview Power’s proprietary LAES technology is based on the principle of air liquefaction, which enables the easy storage of gases in cryogenic liquid form. The process involves a 700-fold expansion in volume from liquid back to gas, which releases the stored energy, powering turbines and generating electricity. This enables Highview’s system to store energy in increments measured in days rather than hours, at half the cost of lithium-ion batteries when deployed at scale, with no siting constraints, and while releasing zero emissions in the process. It utilises long-proven technology with an economic useful life of over 30 years. The Regen Green Energy Awards annually celebrate the best projects, leading organisations, and most inspiring people in the renewable energy and energy efficiency sector. The awards ceremony will be held in Bath on 27th November 2018. The Institution of Engineering and Technology’s IET Awards celebrate new innovations across science, engineering, and technology and are selected from hundreds of entries from around the world. The winners will be announced on 14th November 2018 at The Brewery in London.